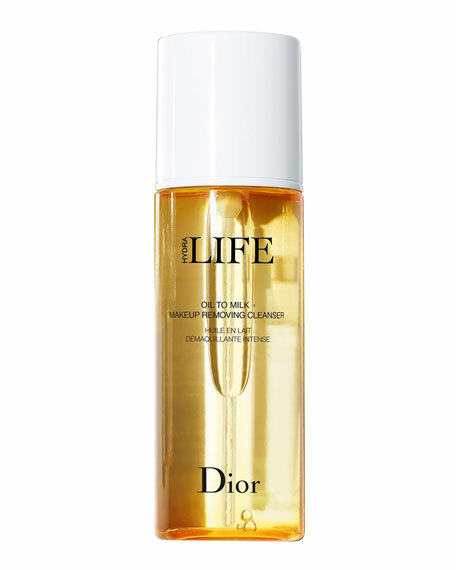 A nourishing oil to milk cleanser enriched with sweet almond oil that deeply cleanses all types of makeup and impurities from the face and eyes without leaving an oily residue. 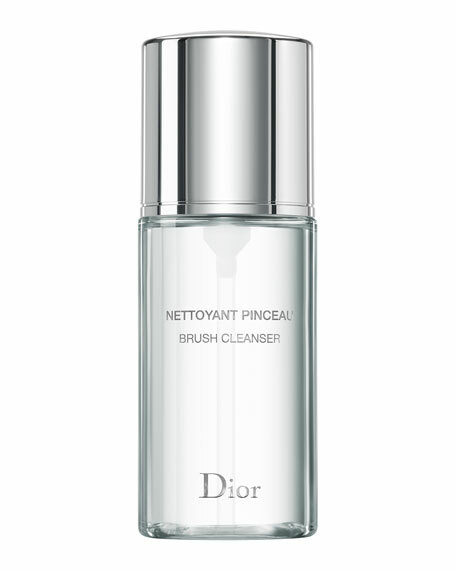 Instantly and thoroughly removes makeup from face and eyes as it deeply cleans away impurities. Enriched with natural ingredients including Sweet Almond Oil, this nourishing, highly effective makeup removing oil and cleanser works on all types of makeup, including waterproof. 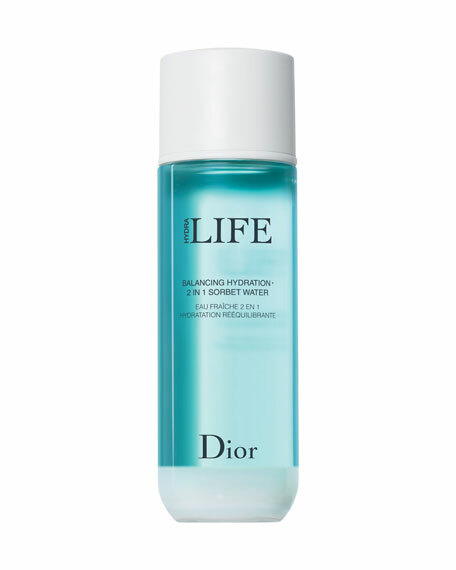 Upon contact with water, it transforms into a rich, creamy emulsion, then rinses away without leaving an oily residue. The skin is left feeling perfectly clean, soft and smooth, revitalized and naturally beautiful. A complete skincare collection created to hydrate the skin using gentle, effective, naturally derived ingredients. 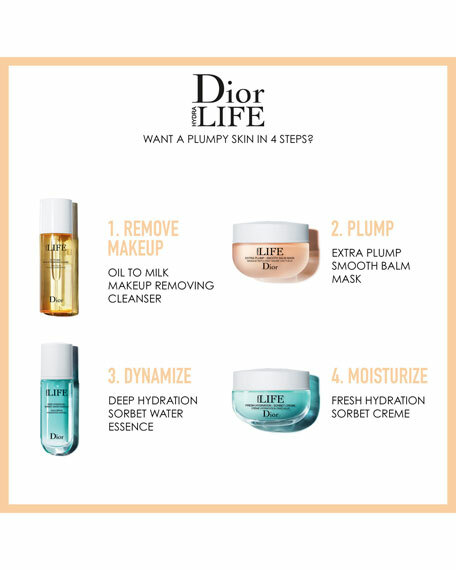 Each product helps the skin breathes from within for a fresh, glowing complexion. Skin looks healthy and naturally beautiful, even bare. Hydra Life products are eco-friendly. Thoughtfully designed packaging, made with predominantly natural inks and sustainably produced paper, dramatically reduces its environmental impact. Self-assessment by questionnaires, 43 women, 4 weeks of use. Massage gently into dry or moist skin. Then add water to create a milky emulsion. 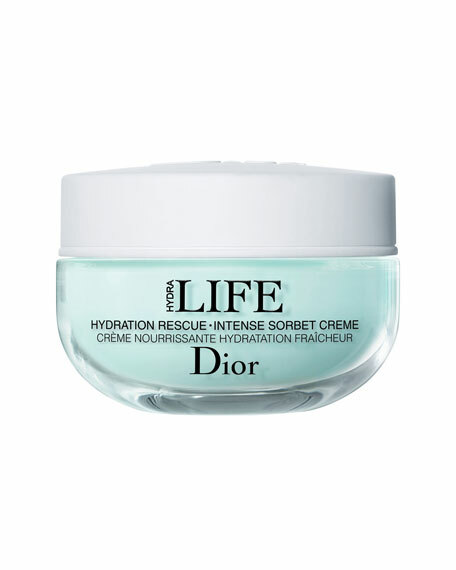 Dior LIFE Sorbet Rich Crème, 1.7 oz. 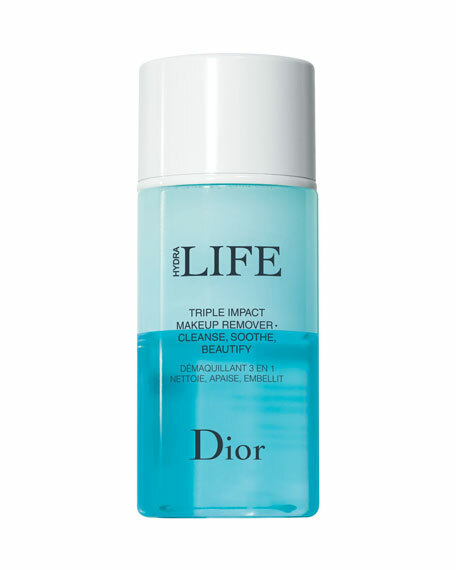 Dior LIFE Tri Phasic Makeup Remover, 4.2 oz.